Happy Wednesday everyone. I had a chance to make 2 cards yesterday, being Australia Day. 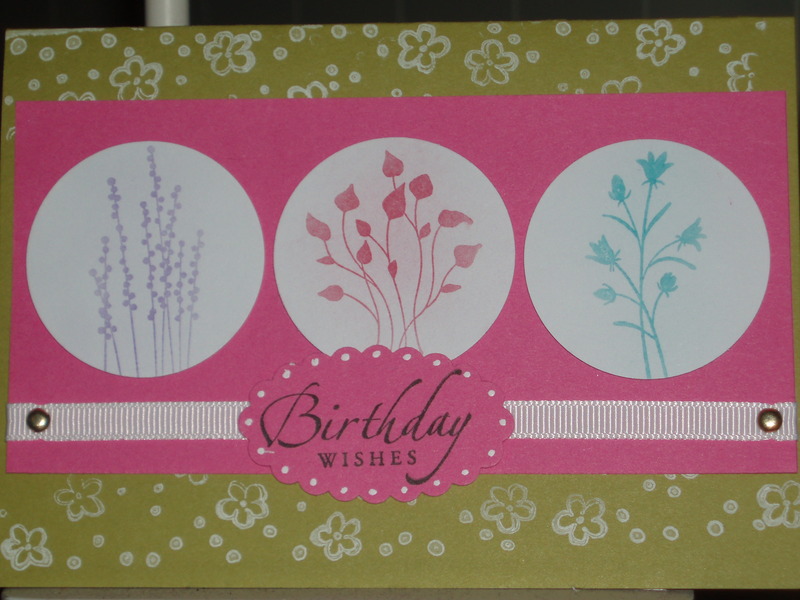 These 2 cards are what I am going to use for my demo party on Saturday, 13 Feb 2010. The 1st project is a birthday card (of course you can change the sentiment to suit your need). I used Kiwi Kiss for the base and Pink Passion for accent and am happy with how it turned out. This 2nd card is very easy to make. It uses the new Butterfly punch in the Summer Mini Catalog. 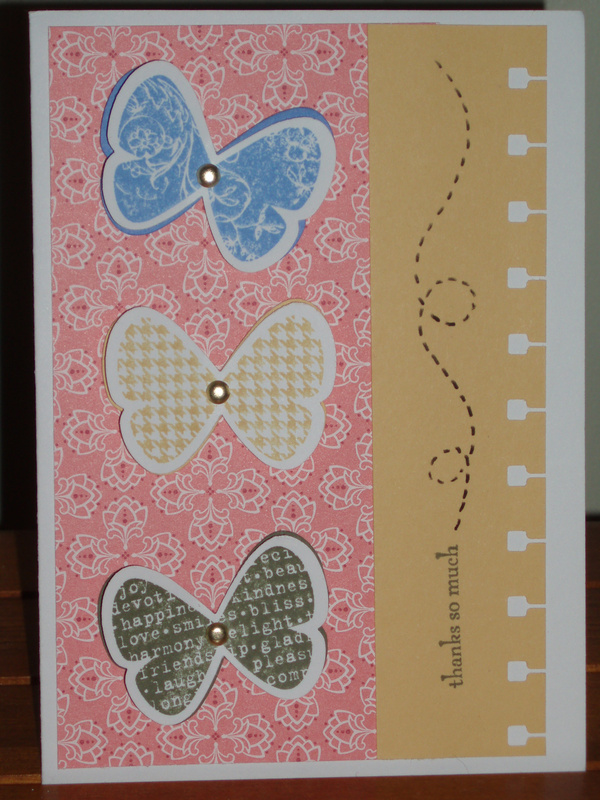 I free-styled the loopy butterfly path beside the sentiment.